Mama Lou:Strong woman, international performer and enemy to all phone books graced the Dr Sketchy Melbourne stage this week. Art Monkeys were thoroughly entertained as Mama Lou performed her feats of strength in between her wonderful poses. Check out the photos to see Mama Lou, apple crushing biceps, pole bending and phone book ripping! Visit our photo blogs at LiveJournal or Flickr for all of the shots and phone book tearing action! But NO ONE knew what was in store for their sketching, or for our heroine Mama Lou, stay tuned for Part 2!!! 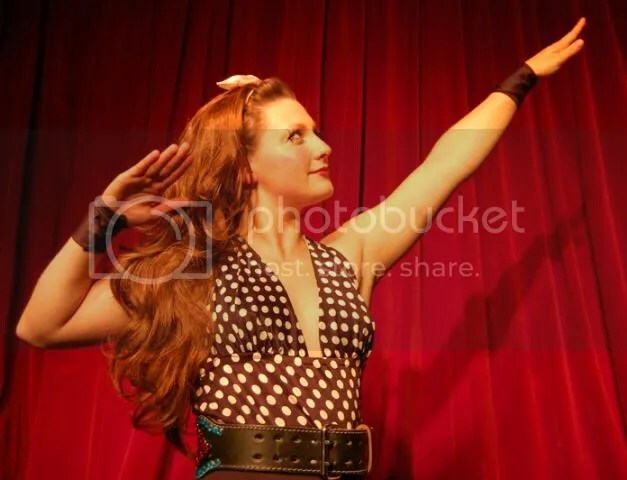 Australia’s Weapon of Mass Destruction laid the SMACKDOWN on Dr Sketchy’s!